Hello friends, it's been a while! I first want to thank you for your kind and comforting messages about my grandfather's passing...they mean an awful lot to me. 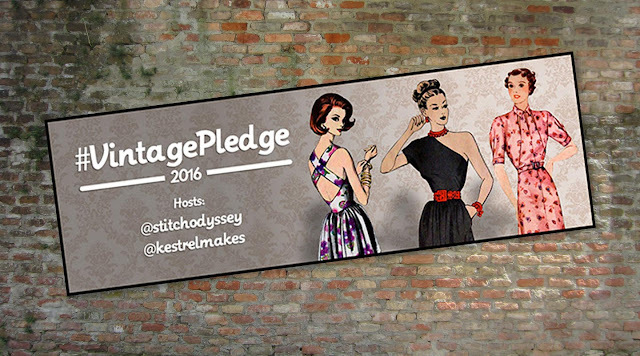 But on a brighter note today, let's talk about the #VintagePledge EXTRAVAGANZA that Kerry and I have planned for July. It includes a jam-packed schedule of guest blogs from fellow Vintage Pledgers, as well as daily photo prompts and awesome prizes on Instagram!!! We'll be releasing details of our Instagram activity and specific prizes nearer the time, but I can tell you which generous sponsors have already pledged their support. Without these guys #VinatgePledge wouldn't be half as fun, and the good news is, we have even more sponsors and prizes in the pipeline for July and for our end-of-year competition! That's a pretty cool line-up of guest bloggers and sponsors, don't you think? I hope you're excited as we are!!! Don't forget that you can sign up to #VintagePledge at any point in the year. Make the pledge your own and join us for as much or as little of the activity as you like. 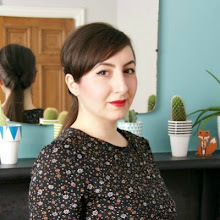 And you can always stay motivated and inspired by following our dedicated #VintagePledge Pinterest board - details of how to become a pinner here. That's it for now, but have a stitchin' weekend all! I'm so looking forward to taking part! I really need to get back into sewing and knitting. I'm going to find out more about Vintage pledge... Maybe it's just what I need. wow this looks amazing! Thanks for all the hard work. I'm really excited to see the parade of vintage creations! It's going be a fun month full of inspiration! Just finishing up my first dress for my Vintage Pledge! Woohoo! A stellar line up I'm thrilled to be a part of.